Peter Gordon is the pioneer of fusion food. For 40 years he’s gathered ingredients, textures and techniques from across the world’s kitchen, combining them in thrilling new ways to imagine the impossible. With eight books to his name, a roll call of award-winning restaurants from The Sugar Club to The Providores and Tapa Room. Not to mention devising recipes for Air New Zealand, cooking for Barack Obama and founding the hugely successful charity event Who’s Cooking Dinner? Peter’s eclectic style of cuisine has had global reach. Born the youngest of four children to Timmy Shaw and Bruce Gordon in the coastal river town of Whanganui, New Zealand. After three more parental marriages, one sister and three brothers eventually joined the siblings. Whilst his first cookbook has been lost, the second one he made aged 8 still survives, and it includes a recipe for sweet soufflé marmalade omelette. Moved to Melbourne, worked in restaurants, and completed a four-year cookery apprenticeship at William Angliss College. Graduated as top Theory Student. Had his first avocado, corn chips and cappuccino. Moved to London where he gradually introduced fusion cooking. Returned to New Zealand to set up the kitchen at the original The Sugar Club restaurant in Wellington. Travelled overland through Southeast Asia, India and Nepal for a year. It was “the greatest influence on my food philosophy”. Set up The Sugar Club kitchen in Notting Hill (it won a Time Out award for Best Modern British Restaurant and Evening Standard award for Best Pacific Rim Restaurant in 1996). First mention of pomegranate molasses in a non-Middle Eastern cookbook, with quail, roasted carrot and cinnamon in his first self-authored book The Sugar Club cookbook. Set up The Sugar Club kitchen in West Soho. It was voted the Best Central London restaurant in 1999. Opened dine by Peter Gordon in the five-star SKYCITY Grand Hotel in Auckland. Filmed a show on the food of China’s Guangdong Region for the Discovery Channel’s Planet Food series. Opened Bellota, a “gorgeous and stylish bar and restaurant” serving New Zealand’s largest selection of Spanish wines and tapas dishes. Awarded an O.N.Z.M. (Officer of the New Zealand Order of Merit - the NZ equivalent of an O.B.E.) in the 2009 New Year Honours List for services to the food industry. Presented to him by the Queen at Windsor Castle. Co-founded London-based gourmet doughnut company Crosstown Doughnuts. Opened The Sugar Club on level 53 of The Sky Tower. Opened Kopapa restaurant in London’s Seven Dials area of Covent Garden. his inner Māori” whilst also being presenter and executive producer. This was his second co-production, after Fusion Feasts (2013). Published Savour – Salads For All Seasons, his 8th self-authored cookbook, and reprinted 2012’s Everyday as Eating Well Everyday. Often credited as the “godfather” of fusion cuisine, Peter Gordon is renowned for his unique culinary style and has won an outstanding collection of awards. He designs menus for Air New Zealand’s global network and has written numerous articles and eight cookbooks. His UK TV appearances include Saturday Kitchen, Sunday Brunch, and Nigel Slater and Jamie Oliver’s Channel 4 food series. In New Zealand Peter was guest judge on New Zealand MasterChef and chef / presenter for two series, Fusion Feasts and Native Kitchen, (which he also executive produced). 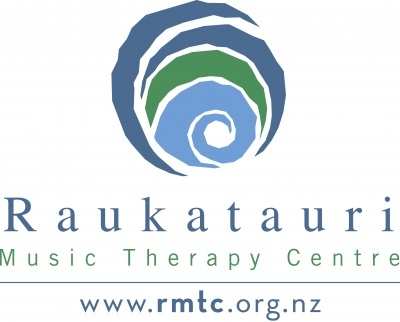 The first to receive the New Zealander of the Year award from The New Zealand Society (1999), he is a passionate supporter of various charities, raising more than £7m for Leuka through annual dining events Who’s Cooking Dinner? in the UK and Dining for a Difference in Auckland. I believe that any ingredient has the potential to be eaten. For me, fusion has always been about that. You just need to be open to as many ingredients, techniques and textures as possible. I’ve always travelled, for me it’s how I gather my best inspiration for my next fusions. Fusion food was the inevitable consequence of my love of travel. Fusion food is everywhere now, but in a way it’s always been everywhere. Fish and chips, Worcestershire sauce, Italian polenta, Malaysian laksa, deliciously grilled Spanish toast rubbed with garlic, olive oil and tomatoes – fusion food is how the world eats. With the increasing availability of fresh ingredients from around the world – green papaya from Asia, pomegranate molasses from Lebanon – what’s new is the ability to make even more fusion recipes with the tastiest, freshest locally sourced food available. My approach to fusion is all about gathering the most vibrant ingredients, and combining them in thrilling new ways to imagine the impossible. The Providores and Tapa Room was opened on August 15th 2001 and introduced the Flat White, Turkish eggs and small-plate fusion dining to London. The Sugar Club has an iconic history in New Zealand, opening in central Wellington in 1986 with Peter as head chef. A stylish Spanish bar and restaurant, which opened on 23rd November 2006. It takes its name from the Spanish word for acorn, which is what the best pigs in the world feast on. 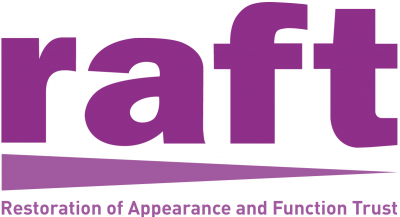 April 2014–Present. Crosstown Doughnuts are hand made fresh every day, using the finest quality ingredients sourced locally and from around the world. Pint-sized spot for coffee and sourdough donuts in flavours such as matcha tea and chilli chocolate. 1995–Present. Despite not getting an apprenticeship when I applied aged 15, Air New Zealand asked me to create a menu to celebrate their London to Los Angeles route in 1995. It was the beginning of a culinary journey that lead to new menus for global routes, winning numerous awards along the way. March 2001– March 2018. In 2001 I was a consultant chef for the then fledgling GBK (Gourmet Burger Company). A first in London, it became the catalyst for rejuvenating the humble burger in the UK. 2010–2016. Kōpāpā opened in December 2010 on Monmouth Street. Run as a joint venture with Michael McGrath (my business partner and co-owner of The Providores), and Adam Wills and Brandon Allen, Kōpāpā is a Maori word meaning storehouse. Brandon and I both have Maori heritage and along with Adam and Michael are New Zealand-raised. After a very successful 5 ½ years we sold Kōpāpā in May 2016. 2005–2013. dine was the first restaurant Skycity opened that had a consultant chef role – a new concept in NZ at that time. I designed the restaurant and private room, working alongside an architect to chose the art and furniture, design the kitchen, and create an award winning restaurant. In 1999, I was approached by Tarik Bayazit and Savas Ertunc from Istanbul. Changa, their first restaurant, went on to win international praise for both its food and design. In 2005 they opened their second restaurant Müzedechanga. In 2007 at the Wallpaper* Magazine Design Awards, Müzedechanga was crowned Best New Restaurant in the World. 2003–2017. PUBLIC restaurant opened in 2003. The team at The Providores Restaurant were asked to help with its set up, initially as a joint venture. In its first year it won two James Beard Awards. It was awarded One Michelin Star in 2009 which it held onto until its closing in June 2017. Hugely talented Executive Chef Brad Farmerie had cooked with me at The Sugar Club in London as well as at The Providores and Tapa Room. Peter Gordon shows us that salads are versatile and fun dishes that harmoniously combine a mixture of individually prepared ingredients, that when coming together, can either be very similar in texture and colour, or ones that oppose each other such as crunch supporting smooth. In this book, I demonstrate how to create fusion-style food at home, every day of the week. I cook at home as often as I can, and this collection of 170 recipes is created with the home cook in mind. My second book, released in 1999, tackled the fact that I'd convinced people to buy all sorts of exotic ingredients like fish sauce, lime leaves, pomegranate molasses and palm sugar. While these may seem like standard pantry items now – they certainly weren't back then. Published by Quadrille in 2006, and again serialised in The Sunday Times Style magazine. I'm no vegetarian, but I find a meal with too few vegetables is far from satisfying. In this book vegetables are the hero, in that they take either centre stage for a vegetarian meal, or they are the supporting cast that lifts the meat or fish hero to new heights. It is a recipe book, a travel book and a book telling the history of some of my favourite ingredients. It was commissioned by Penguin New Zealand, designed and edited there, but photographed in the UK by Jean Cazals - the man who has shot all of my books. I took as my premise the fact that at The Providores we are often asked to serve our delicious starter salads as a main course, especially at lunch time. Men and women want lighter food, food which appeals in taste and texture, and salads always look great. The Sugar Club restaurant opened originally in 1986 in Wellington, New Zealand. It was owned and set up by Ashley Sumner and Vivian Hayman and they employed me as head chef. I am very proud of this book, and through it I introduced Fusion recipes to the marketplace. I have been creating recipes and writing for New Zealand House and Garden for over 10 years now. This book is a compilation of those recipes. The recipes are perhaps my most simple, written specifically for the home cook and for people who don't have access to Asian markets. Over the years I've contributed to many other books in differing ways. I wrote a large chapter about Flavourings in Dorling Kindersley's wonderful The Cook's Book (2006) – complied and edited by the equally amazing Jill Norman. “My outlook on life is simple. 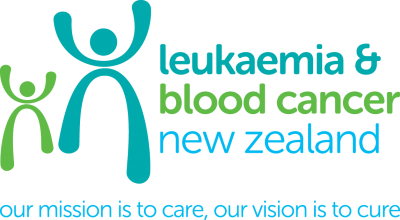 This is New Zealand's only not-for-profit organisation dedicated to helping patients and their families with leukaemia and related blood disorders. Their activities include patient support, education, research advocacy and medical equipment. They receive no government funding. Chef Dani is World Champion of Tapas. Our Chef Dani at Bellota by Peter Gordon won the 2019 World Tapas Championship in Spain with this delicious tuna, calasparra rice squid ink cracker, seaweed and veggie escabeche tapa. Peter designs and cooks a menu for former President Barack Obama and 800 guests in Auckland, on the President’s inaugural visit to New Zealand. Hosting a 5-day food and foraging extravaganza on the remote island of Niue in The Pacific.